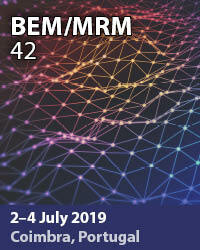 The 37th International Conference on Boundary Elements and Other Mesh Reduction Methods took place in the New Forest near Southampton, where the method was developed and the first meeting was held in 1978. The continuous development of the method and the increasing vitality of the research carried out throughout the world are due to its ability to evolve. This has been more marked with the development of Mesh Reduction Techniques, an area of research which continues to produce excellent results, as evidenced by papers presented at the conference. The conference was opened by Professor Carlos A Brebbia, Director of Wessex Institute of Technology and Professor Alex Cheng from the University of Mississippi. Carlos referred to the importance of finding ways of arriving at solutions that require neither initial mesh, even in the case of non-linear or time-dependent problems, nor surface meshes in general. This objective is becoming more feasible as the research progresses. Equally important – Carlos said – is the development of powerful and robust boundary element software tools in order to open new areas of industrial applications. In this regard, engineering practitioners will demand software that can cope with a large number of degrees of freedom. This will lead to the method being fully accepted in engineering practice. We have seen, in Carlos’ opinion, the emergence of robust codes which are used to solve real engineering problems, with particular emphasis on those for which classical finite elements give poor results. The experience in fracture mechanics, crack propagation and other extreme cases has reinforced the perception of boundary elements as a highly accurate technique. Problems extending to infinity is another area in which boundary elements offer elegant and easy to use solutions. Cases such as these are the basis on which BEM ought to gain acceptance by industry. The time – Carlos asserted - is ripe for BEM. Following these remarks the George Green medal was introduced by Alex Cheng. This is a new initiative by the University of Mississippi, in association with the Wessex Institute of Technology. The importance of Green’s work was described by Alex, particularly his development of his functions which set the basis for boundary elements. Very little is known about George Green, there is not even a picture of him. Green was totally self-taught and published a few copies of his most famous works on a subscription only basis. One of these sponsors pointed out the work to a Cambridge don and this led to a minor appointment at that University, which he had to leave due to illness. Shortly after that he died, his research was forgotten and it was only due to Lord Kelvin that much later on Green’s work was rediscovered. The Green Medal was established to honour him and as a reward to outstanding research carried out in BEM. The Green Medal Award Committee decided to give the Medal to Professor Carlos A Brebbia, as originator of the technique. He not only proposed the interpretation of the method in variational terms and weighted residuals, but developed its finite element type methodology. Carlos also organised the first boundary element conference in 1978 and promoted the application of the method for the solution of practical engineering problems. The medal was then awarded by Prof Alex Cheng to Prof Carlos A Brebbia, with the congratulations of the Selection Committee. Prof Antonio Tadeu of Coimbra University presented Carlos with a diploma. Carlos thanked them for their kindness and accepted the medal in his own name, as well as the many colleagues who were part of his Southampton group. He then briefly recalled the beginnings of the boundary element, showing the importance of different scientists and groups in its development. This included the Research School created at Southampton University by the late Prof Hugh Tottenham; the MIT School of Eric Reiner, widely known through the work of Jerry Connor and the discussions with Prof Maurice Jaswon of City University, who was working on indirect boundary integral equations. The different centres converged towards the Southampton group where the technique originated. The same group also created a series of other research centres around the world, including Japan, Brazil, Spain, Slovenia and others. In particular, it collaborated with the groups in the USA working on the method. The research work carried out in the 1980’s and 1990’s was most productive and resulted in many, now well established, developments. One of the main objectives of the Southampton group, by then based at the Wessex Institute of Technology, was to create a tool to solve practical engineering problems and methodologies to avoid internal meshes. As a result, the BEASY code was developed, which is now popular for a range of problems, including problems extending to infinity or those requiring accurate results. This work still continues and has resulted in a very successful performance for BEASY. A major contribution was the development of techniques such as Dual Reciprocity Method, and one of the main researchers in this field was Prof Paul Partridge in Brazil, who has just passed away. Carlos wanted to take this opportunity to pay tribute to his memory. Paul was one of the first PhD students in the Southampton Group under Carlos’ supervision. After graduation he found a Post-doctoral position at the Federal University of Rio Grande do Sul in Brazil, a country that he dearly loved. From this Post-doctoral appointment he moved to the University of Brasilia where he became a permanent member of staff, leading to his appointment as a Full Professor. Two years ago he retired from academia and recently passed away after a short illness. Paul will be always remembered for his friendliness, modesty and generosity as well as his many academic accomplishments. The Conference was declared open after this short tribute. “Collocation and optimization initialization”, by Edward Kansa, Convergent Solutions, USA. “The study of porous elastic plates by mesh-free methods”, by Vladimir Sladek, Slovak Academy of Sciences, Slovakia. “A Kansa-RBF method for Poisson problems in annular domains”, by Andrea Karageorghis, University of Cyprus, Cyprus. “A BEM and FEM analysis of fluid-structure interaction in a double tank”, by Elena Strelnikova, Ukrainian Academy of Sciences, Ukraine. “The hypersingular boundary element method revisited”, by Ney A Dumont, Pontificia Catholic University of Rio, Brazil. “Surface integral equation analysis of the electromagnetic interference”, by Dragan Poljak, University of Split, Croatia. 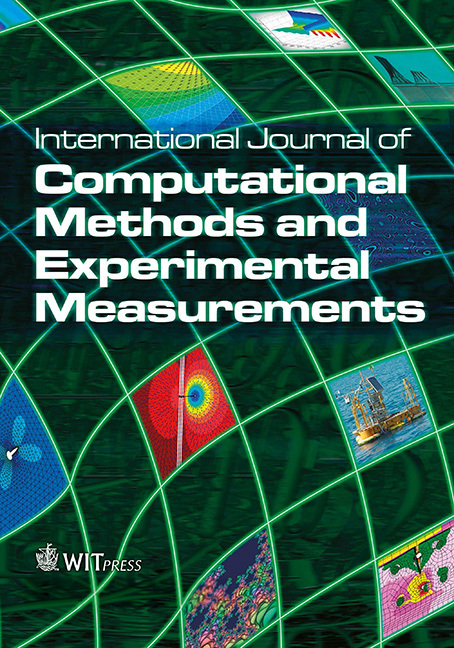 “On modification of the method of mechanical quadrature for SIE in crack problems under step-like loads”, by Alexander Galybin, The Schmidt Institute of Physics of the Earth, Russia. “An efficient MFS model for the analysis of sonic crystals including fluid-solid interaction”, by Luis Godinho, University of Coimbra, Portugal. “Wavelet compression of parabolic diffusion integral kernels”, by Jure Ravnik, University of Maribor, Slovenia. “The interface integral BEM for solving general non-homogeneous and non-linear mechanics problems”, by Xiao-Wei Gao, Dalian University of Technology, China. During the conference there were ample opportunities for the delegates to get to know each other better and for having informal discussions. The lunch time excursion during the first day was to the village of Minstead, in the New Forest. Minstead is one of the most charming villages in the Forest and has been described as a typical New Forest Green. Across the Green is a pub with the unusual sign “The Trusty Servant”, which is the same as that displayed in Winchester College, presumably from the days when the pupils had personal servants. The delegates were offered lunch at the pub before proceeding to walk around the village and see the Church. The Church is located at a short walk from the green at the top of a little hill. The church is a jumble of different styles, including Saxon and Norman. Its most remarkable feature is having a three-tiered pulpit and a series of different seating boxes for the important local families. In the churchyard one can see the resting place of Sir Arthur Conan Doyle, the creator of Sherlock Holmes, and his wife, who although from another part of England, lived in a cottage in the New Forest. Another interesting character buried there is Christopher Tower, a diplomat and poet who became an expert in Arab affairs and Chief Advisor to the King of Libya. As a poet he was not very successful, nevertheless he established a Poetry Fellowship in his old Oxford College. North of Minstead lays the Rufus Stone, marking the site where William II, called Rufus for the colour of his hair, was slain by a stray arrow. The weather was kind during the visit and the delegates had ample time to walk around the village and enjoy the sites. The annual Editorial Board meeting of the Journal of Engineering Analysis with Boundary Elements took place during the conference with a substantial number of members in attendance. The discussions took place over an excellent dinner. Alex Cheng, as Editor in Chief, gave a brief introduction and reported on how the Journal was progressing. There has been an increase in the number of papers published in 2013 over previous years, and the tendency is to continue to grow. The Board is aware of the need to retain the quality of the papers, as well as its size and different ways of ensuring this were discussed. Alex also referred to the excellent special issues now in progress and to the appointment of new Board members. The issue of how to retain the vitality of the publications was discussed in detail. The general consensus was that it is essential to appoint a few young scientists and this led to Alex asking for nominations being put forward. The Journal needs to be promoted better in some countries where substantial Boundary Element research groups exist, but which are under represented by numbers of papers. The impact factor of the Journal continues to be high, but a special effort is required to raise it in relation to those of the main competing publications. The evening ended in a very friendly atmosphere and Alex received a number of suggestions of how to improve the EABE journal even more. The Conference dinner took place in the unique setting of Rhinefield House, a New Forest mansion now converted into a luxury hotel. The house, built in the 1890s resembles a Scottish castle with a variety of styles for its numerous rooms. The dinner itself took place in the King’s Room, a French-like dining area, while other rooms are of Spanish, Italian and even Arabic style. The manor was a wedding present to Mrs Munro-Walker, a rich heiress of a Nottingham fortune, based on coal mines. Mrs Munro married a Navy officer, who was absent for long periods, during one of which she built a round smoking room in the Mudejar style as an anniversary present. The task was carried out by workers specially shipped from abroad who were the only ones able to work the intricate plaster decorations. The main hall of the house has an impressive hammer beam type of roof structure, similar to the one in the ancient Hall of Westminster in the Houses of Parliament. This room is the central part of the house. The dinner consisted of excellent dishes, washed down by well-chosen wines, which helped to produce the right atmosphere for creating further links amongst the participants. The delegates were also shown around the garden by Carlos who explained their history and the considerable efforts made in the last forty years to restore them to their former glory. The Conference was characterised by its friendly atmosphere and the quality of the discussions that took place outside as well as during the sessions. Carlos closed the meeting, commenting on the vitality of BEM research as evidenced by the number of young researchers and PhD students who continue to participate in BEM/MRM conferences. He thanked the delegates for their commitment to developing the method into a powerful software tool.